The Minnesota Professional Chapter of the Society of Professional Journalists (MNSPJ) is extending the deadline for the annual Page One Awards. Contest entries can be submitted between now and Friday, Feb. 15. The price of a contest entry is holding steady this year at $22. Journalists working for all print, broadcast and online news outlets in Minnesota (or news outlets in neighboring states that cover Minnesota) are eligible to enter. All work published or broadcast during the 2018 calendar year is eligible. 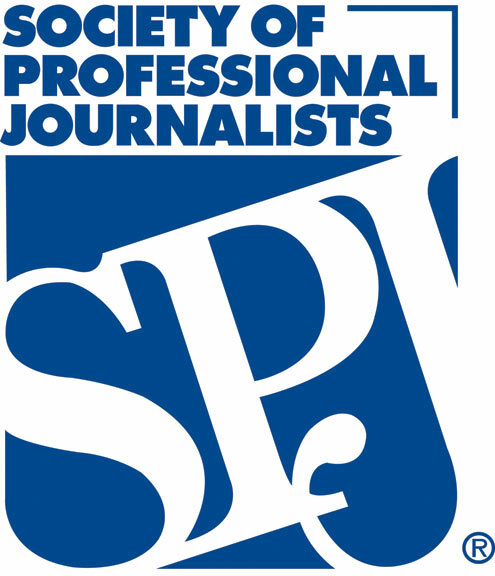 Attention college journalists: The Minnesota Society of Professional Journalists (MNSPJ) is now accepting applications for its 2019 student scholarship. This year, MNSPJ will award one $2,500 scholarship to a student pursuing a career in broadcast, print, online or visual journalism. A second winner will receive $1,000. Applications must be received by April 3, 2019. No late submissions will be accepted. The scholarship winners will be announced prior to MNSPJ’s annual Page One Awards banquet, where recipients will receive their awards. The Minnesota Professional Chapter of the Society of Professional Journalists (MNSPJ) recognizes the best in Minnesota journalism each year with its annual Page One Awards. Contest entries can be submitted between now and Friday, Feb. 8. Finalists will be notified in the spring, with winners named at the annual Page One Awards banquet later this year. In hopes of improving the contest, MNSPJ last year issued a survey to contest entrants seeking feedback on the awards We also conducted a review of six other journalism contests across the country. In response, we’ve made several rule changes, expanded several category descriptions and added/changed several categories. In addition, we have re-named the “Meeting/Planned Event” category to “Deadline News” in the Newspaper division and expanded the category descriptions to distinguish the award from “Breaking News” (formerly “Spot News”). In the Television, Radio and Online divisions, we’ve dropped “Meeting/Planned Event” and replaced the category with awards for sports reporting. In several categories, journalists can now enter up to three works. Other changes can be found in the complete list of contest categories at the link below. On rules, we’re opening the large newspaper division to submissions that appear in online-only publications in hopes of promoting more competition. With that goal in mind, we’re also clarifying that journalists at smaller news organizations can opt to compete against larger organizations by submitting their work in the larger circulation/employee divisions (although the same can’t also be submitted in the smaller category). Finally, we’re clarifying that photography entries are intended to showcase the work of one photographer. This year, MNSPJ has elected to hold the price of a contest entry steady at $22 — the same as last year. Journalists working for all print, broadcast and online news outlets in Minnesota (or news outlets in neighboring states that cover Minnesota) are eligible to enter. All work published or broadcast during the 2018 calendar year is eligible. Entries must be submitted by Friday, February 8. The date and location for the awards banquet will be announced later. NEW RULE: This year we’re specifying the collection of photos must come from the same photographer. For television and newspaper, contestants may enter tiers higher than their circulation/employee class, but not lower. If you enter a higher tier, you may not enter your own tier. The fee is $22 per entry. Entries must be submitted no later than midnight, Monday, Feb. 18, 2019. All work published or broadcast during the 2018 calendar year is eligible. Journalists (including freelancers and contract employees) working for all print, broadcast and online news outlets in Minnesota (or news outlets in neighboring states that cover Minnesota) are eligible to enter. An individual may submit only one entry per category. Exceptions: 1) if a second entry is a multiple-byline entry; or 2) if it is submitted by his/her employer because they could not agree on a single entry. An individual may enter in a tier above their news outlet’s division (circulation/employee count), but then may not also enter their own division. 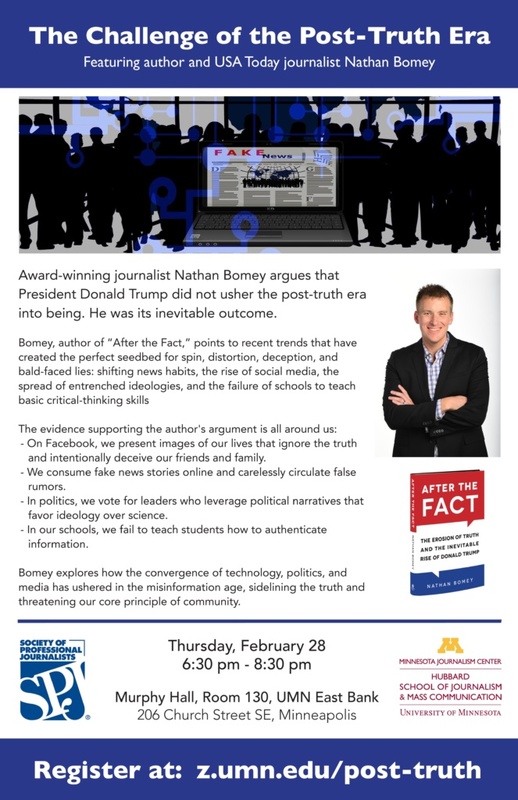 Entries will be judged by journalism professionals outside Minnesota. Judges may move an entry from one category to another. Up to three winners may be chosen for each category. Judges may choose not to name a winner in any category. Awards Presentation: Winners will be announced in the spring of 2019 and honored during MN SPJ’s annual Page One Awards Banquet. Date and location, TBD. NEWSPAPER, ONLINE & PHOTOGRAPHY ENTRIES must be submitted online. FOR PRINT ENTRIES (Newspaper and Magazine): Entrants should submit a link to the online article or a PDF of the news/magazine page on which the story appeared. The date of publication should be visible. FOR NEWSPAPER AND MAGAZINE “BEST ISSUE” CATEGORIES: entries may be submitted by mail. TWO COPIES of each issue must be submitted in an 8 1/2-by-11-inch folder or envelope. Please write category name on outside of folder. FOR GRAPHICS/PHOTOGRAPHY CATEGORIES: Entrants should submit a PDF of the news/magazine page on which the art appeared, or a link to the art published on an online news site. The date of publication should be visible. FOR TV ENTRIES: Entrants should submit a URL where video can be viewed (preferred) or entries may be submitted on a DVD (please include TWO COPIES). FOR RADIO ENTRIES: Entrants should submit a link to the work online (preferred) or entries may be submitted by mail on a CD (please include TWO COPIES).